Swans choose a partner for life but the rare Black Australian swan nicknamed Petra made the mistake of falling for a peddle boat designed to look like a swan. And when Petra’s peddle boat lover refused to fly south for the winter Petra also remained, a move that could have killed her as the cold weather arrived. 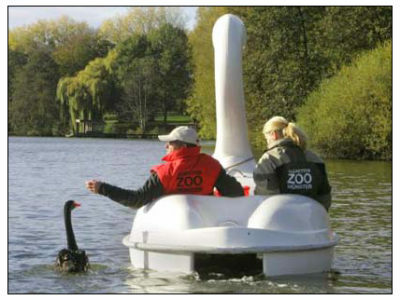 In the end though local zoo chiefs took pity on the swan and gave her and her boat boyfriend a place to spend the winter, and this week the pair were once again on the lake together. 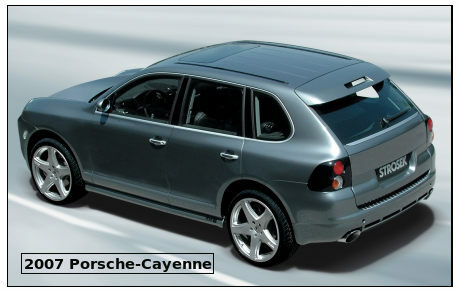 Bulgaria’s cash strapped health ministry is using a World Bank loan to buy a fleet of luxury Porsche Cayennes to serve as ambulances. Health Minister Radoslav Gaydarski said the 32 four wheel drive vehicles would be used in remote areas where normal vehicles normally could not travel. He confirmed the cars had been purchased with a loan by the World Bank. The ministry said they had chosen the Porsches after the company offered what he insisted was the lowest bid in a tender offer. But critics say the claim is rubbish, as each vehicle has a retail price of £80,000. Locals are outraged by the news and claim the money could have been better spent. Bulgaria’s health sector is millions of pounds in debt and hospitals and clinics often blame a shortage of supplies and services on lack of funds. Looks a tad smallish for an ambulance. Heck of a good bureaucrat transport though.